Nepal Media Society today condemned the government’s move to impose ‘restrictions’ on the issuance of identity cards to members of the press, stating that it violated press freedom guaranteed by the constitution. Issuing a statement, the umbrella organisation of private publications demanded that the government immediately roll back the decision and cautioned not to repeat such activities in the future. “Orders and directives that are aimed at controlling the press should be rescinded immediately to avoid any situation of anarchy and conflict in the country,” the society said, citing other government moves, such as imposing unnecessary restrictions on transferring payment to foreign satellite service providers and on the import of newsprint by the print media. In a circular dated February 1, the Department of Information and Broadcasting, under the Ministry of Communications and Information Technology, made it mandatory for journalists and other staff of media organisations to produce their bank statements and bank account numbers to avail facilities, such as issuance of press identity cards. The department also asked media houses to submit a copy of the payroll of all journalists and other staff authenticated by banks for availing services from the department. The department stated in the circular that the move was aimed at strictly enforcing the minimum wage for journalists set by the government. But stakeholders say the move is not only against press freedom, but also infringes on journalists’ right to privacy. Former president of Federation of Nepali Journalists Bishnu Nisthuri said ensuring minimum pay to journalists should be an issue between the government and publishers, not between the government and journalists. Experts added that although this particular decision of the government in itself might not seem that harmful, it could be ‘dangerous’ if it was a part of various approaches of the government to control the press. 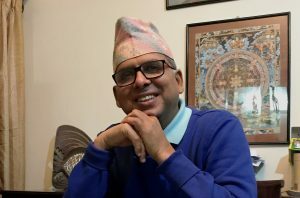 “The government’s moves in the past suggest that the latest move is a part of that series of approaches that serve the government’s interests,” said another constitution expert Bipin Adhikari, citing provisions in the criminal code, penal code and other laws and bills that are against press freedom. A version of this article appears in print on April 05, 2019 of The Himalayan Times.